Just as Indy Jones dusts off his fedora and bullwhip before embarking on a new adventure, I have opened my drawer of tricks from the old days when I used to train for something (2013) and am armed and ready to go. First is the Power Bible (really, there was dust on this one), Garmin Connect’s ‘workout’ function, and Coach Rob’s (no dust on him – he’s always on the move) advice. The result: my first month of training once I get back from Spain next week. 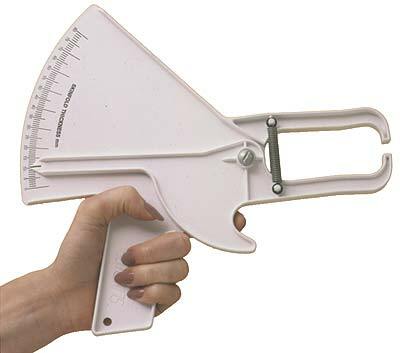 Next, the always-useful (because I’m always putting on weight) skin-fold calipers, which I need to re-learn how to use. The last big one is ‘motivation’, which I’ve found revving up as I made up that first month of the training program above. The New Year always comes with a good kick start, anyway, unless it begins with a hangover (it always seems to) or a bike accident, or both, as was the case two years ago. But you get the point, I think. I’m really looking forward to this next year of training and hoping my ‘recovery year’ in 2014 will result in one step forward instead of the two steps back that I feel right now. Time, and a lot of sweaty living room floors, will tell. Gerry: you got me inspired! Any chance you’re willing to share your garmin connect schedule? I think we tried in the past but didnt find a simple (or any) way to share a Garmin Connect schedule, but perhaps it now is doable? If not, si there a way you can print the workouts to a file? Jan, I was trying to share the calendar with Rob and couldn’t figure it out, so I sent him the screen shot, too. I’ll keep digging. Not sure about the workout printing, either, but will look at that, too, when I get back from Barcelona. For using workouts on the Garmin, it’s definitely possible. 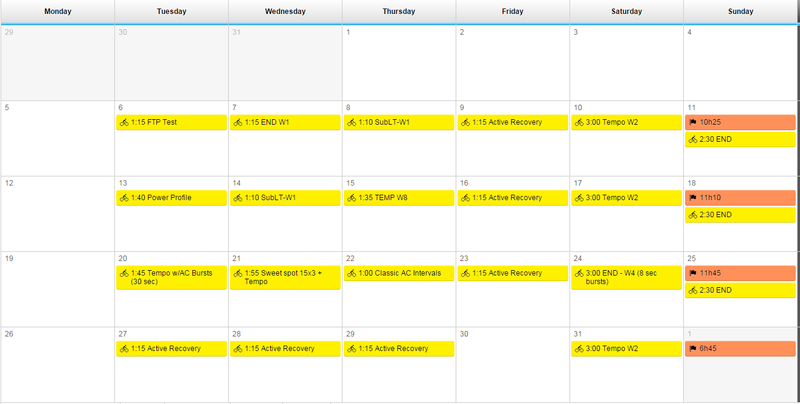 Create them in ‘Workouts’, then simply add the ones you want to your calendar on GC. You’ll see an option to ‘send to device’, too, so you can, if you want, have all of them on your 510. I used this function last year and it worked great. One warning, though, there’s no ‘flexibility’ with this, so if you have a 5-min interval to do after a 10-min recovery, it’ll start no matter what and you have to, too, or you fall behind! This is no problem on a trainer, but in the ‘real world’ it’s not that easy to keep to the schedule, unless you’re on pan-flat roads. Thanks Gerry. You would think it shouldn’t be that hard for Garmin to have a “share workouts” “share calendar” — not sure why they don’t (except for the fact that they are poor in software). A new year = a new season! Just watched the New Year GP Sven Nijs at 8am–the new cyclocross kids this year are amazing: Wout van Aert is 6+min ahead of the top cross riders and Matthieu Van der Poel is also impressive. These two will dominate the future years. Big generational change in cross. The Worlds will be interesting. Festive season taking its toll on me. Had to lay down on the sofa after reading your workout schedule. All the best with that and have a great 2015 Gerry. Thanks, Luc, you too! I’m looking forward to a more structured year, even if it hasn’t even begun with a bike ride (about to fix that tomorrow).